Notes: Turner A43. 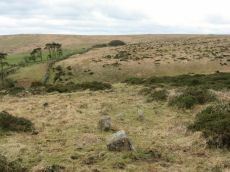 "A very vague circle 21m diameter, which may be the remains of a mutilated cairn. Vis=-/4/1977 (ancient monuments) possibly rather damaged on one side. 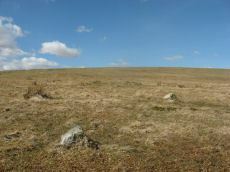 Vis=23/6/1973 (grinsell, l. V. ). 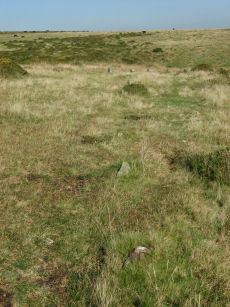 Site of cairn almost levelled probably for material to build the adjoining wall. 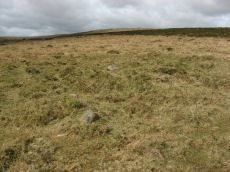 Shown on OS 6" as 'cairn circle'. Diameter 21m, height 0.4m. Vis=28/7/1977 (os) there is a gap in the rim on the southeast, probably for carts taking away the stone". Notes: Grinsell SOUTH BRENT 1. 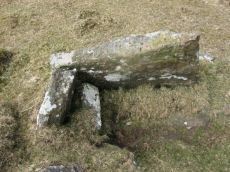 "An earthen long barrow with a ruined stone chamber at the south east end. 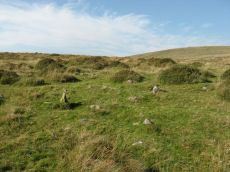 Early excavation and mutilation has resulted in two distinct mounds, the larger one at the south east end separated from the smaller by a path or trackway. 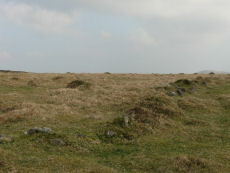 The smaller mound appears to mark the limit of the barrow on the northwest; beyond this it merges into the natural hill-side. 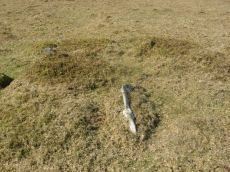 There are no side ditches but these may be obscured by soil washed down from the hill. The length is 42.0 m; the maximum width is 18.0m and the maximum height of 2.4m." Notes: Notes from the NMR record: "Treeland Brake Stone Row. The only record of the row is a photograph taken by Mr HG Hurrell in the late 1950s. 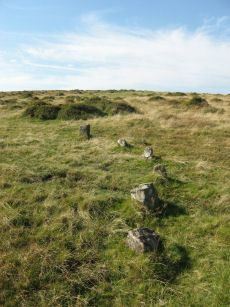 Mr Hurrell remembers about five erect stones and about five fallen, aligned north-east to south-west. 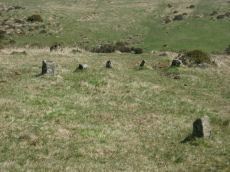 The row has been destroyed by agricultural activity by 1977. (Photograph is in the possession of S & M Register)." Also: "A colour print taken by Mr Hurrell from approximately SX 67206130 shows the stones aligned to a field corner at SX 67296147. 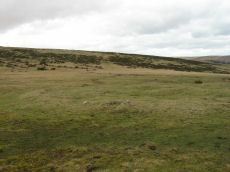 Approximate centre of row, SX 67276141; the area is now under pasture."